People prefer mattress toppers not only to save money but also for comfort and convenience. You can change the topper any within a couple of years but a mattress comes expensive. It is also about using products having varying firmness levels. It is not easy to choose the best mattress topper mainly if you have specific requirements. You can buy toppers based on sleeping positions and this article would help you know more. 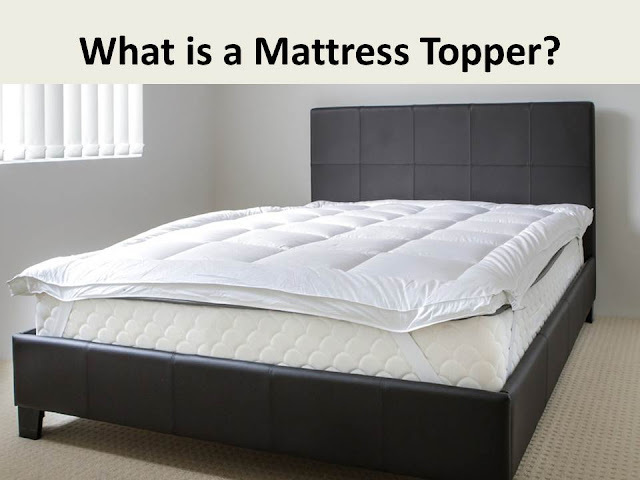 In case you don’t know what a mattress topper is, it is a removable bedding placed on the top of the mattress. It improves the comfort and feels of the mattress and the pricing varies according to the type and quality. Why invest in a mattress topper? Mattress toppers basically improve the mattress you already own. For instance, if your bed has become old and shows a bit of wear and tear, never mind, get a topper. The best way to determine whether you need a topper is by taking a look at your mattress for lumps and dents. But you can also invest in a topper even if the surface is smooth just to maintain the evenness and firmness. But you need to reconsider your mattress if there are heavy lumpiness or if you notice broken springs. Your aim is to choose the best mattress topper for side sleepers. Do I require any special topper? You get into the bed after the whole day’s stress for a cozy night’s sleep. Do you love to sleep on your back or sideways? Most of us usually do it sideways and both the positions require different toppers. Side sleepers suffer more pain at the pressure points because your spinal cord is not aligned properly. Side sleeping causes curves and without proper support, your neck and back might suffer from injuries. A semi-soft topper is good for the side sleepers because it shields the shoulders and the hips, thus there are no problems if the body is naturally curved while sleeping. Due to this kind of topper, the spine will be right aligned and the body will sink in to maintain the natural body shape. A too firm mattress that is not contouring your body shape rightly might cause body pain. Thickness and density both are inter-related and important factors. The firmness is calculated by the help of density and for the regular customers, the level of firmness is displayed in a scale of 1-10(1 is the softest and 10 is the firmest). Thickness is very important for a few reasons because if the topper is thicker, it tends to last longer. Too thin or too thick may be a waste but everyone has their own requirements. Most of the mattresses for side sleepers are crafted from memory foam or latex. This is why it is recommended to buy memory foam toppers. These toppers for side sleeping offer right kind of support maintaining the natural contour of the body including the pelvic area. Feather filled and wool toppers might be very comfortable for the winters but are not as effective as the memory foams. Memory foam is known for keeping warmer than any other toppers so if you sweat a lot of feels really hot compared to other, opt for the gel foam topper. This gel keeps the heat away allowing easy sleeping. These are again not very suitable for cooler climates as the gel turns cold in the winters. The advanced and improved toppers usually are breathable having better airflow. If you are looking for the best mattress toppers for side sleepers, why not search the internet? There are so many bedding websites that sell toppers from big brands as per your requirements. Online you can view an array of these products; you cannot touch but take a zoom into the product, see the specifications and there are replacement options as well. You can also get good deals and discounts. You can also refer websites that showcase product review about mattresses and toppers. Side sleepers have varied requirements for comfortable sleeping and for this people use toppers. You cannot compromise the quality because of your peaceful sleep matters.